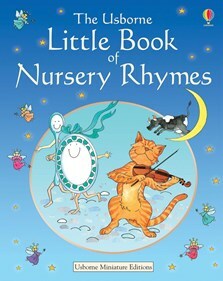 Every child’s favourite nursery rhymes wrapped up in the perfect bedtime format, with a luxurious padded cover. An excellent gift, featuring all the classics: Humpty Dumpty, Jack and Jill, Little Miss Muffet, and many, many more. Also includes games and actions to complement and enhance the rhymes. We received this book as a gift & we read it nearly every night. The pictures are great to go along with the nursery rhymes. A wonderful way to spend some great cuddle time before sleepy time!